Because of song length, especially from the live tracks, only 14 tracks—the second fewest among the artists I selected for my 30 at 30 project—made the final cut for my ultimate DMB compilation. Fittingly, the compilation begins with the roar of the crowd leading in to “One Sweet World” from 9/12/04 in San Francisco. Although I did not personally attend that concert, I did hear “One Sweet World” live in Pittsburgh at my second DMB concert on June 26, 2004 in Pittsburgh. “One Sweet World” always lifts my spirits. The opening guitar riff leads into a blaring saxophone that screams life into me. I cannot imagine coming out of this song in a bad mood. Track two, “American Baby” comes from 2005’s Stand Up. As the first DMB album released after I met Jessie, Stand Up has a special place in my heart. Eight of the album’s 14 tracks have appeared on a Matt’s Mix at some point in time. “American Baby” is one of two to make it onto this compilation. Dave Matthews has gone on record saying that Boyd Tinsley’s violin-plucking riff on “American Baby” is “one of my favorite licks in the history of all music.” Unfortunately, when Jessie and I saw DMB together for the first (and, to date, only) time on June 9, 2006, “American Baby” did not make the setlist. Speaking of Jessie, tracks three and four made it onto the CD because of the sentimental value they have in our relationship. “Where Are You Going?” comes from 2002’s Busted Stuff. But in the summer of 2005, Jessie and her sister Abby played a version of it at a local cafe called Moonsense. Sadly, Moonsense is no longer in business, but that end-of-summer show was one of the first times I heard Jessie sing and play for a crowd, and it made me love her and the song even more, even if it did precede the first of our many breakups. Perhaps more than any DMB song, “Crash Into Me,” in particular the Live at Luther College acoustic version played by Dave Matthews and Tim Reynolds, symbolizes our relationship. It’s a song that we have probably listened to hundreds of times, so it should come as no surprise that earlier this summer I ranked it as my second favorite song of all-time. The entire Live at Luther College album is excellent, but if I could only listen to one Dave song , this version of “Crash Into Me” would be the one. Tracks five through eight are all grouped together in my mind. “Ants Marching” and “The Best of What’s Around” come from Under the Table and Dreaming. “Tripping Billies” and “Two Step” come from Crash. But these two albums, and these songs in particular, all share a similar carpe diem attitude. Seize the day. Make the most of the moments we have. There is a definitive shift in tone with “Stolen Away at 55th & 3rd,” the other track from Stand Up. This seemed like an appropriate follow-up to the carpe diem suite of songs as “Stolen Away at 55th & 3rd” includes lines lamenting about how the time gets away and reconnecting after missing out or losing someone in the past. “Funny how you take me right back again” definitely hit home during my on-again, off-again dating period with Jessie. Track 10, “You & Me” is the lone track from 2009’s Big Whiskey And The GrooGrux King. It was an instant classic love song the moment I heard it. I really like the message of this song. On first listen it’s another song about these two lovers, but the line that really gets me, especially now, is “when the kids are old enough / we’re gonna teach them to fly.” So wrapped up in the two of us being able to do anything is the idea that “anything” includes being great parents, a destiny that I hope to realize in the very near future. Track 11, “Mercy” is another lone representative, taken from 2012’s Away From the World. It’s such a beautiful little song. The song speaks to the most simple and most profound of truths: love is strong. There is a lot wrong in our world today, but if we all actually embraced love as our primary operating principle, we can overcome anything. I’m not sure if there is a better song to close a concert with than track 12, “Stay (Wasting Time.” Conveniently for me, it was the song that closed the concert the first time I saw DMB live. And I definitely wanted to stay, stay, stay, stay, stay for awhile. Track 13 was “Crush (Live in Central Park).” It came in as number 10 on my list of all-time favorite songs. The solos on this recording are out of this world. If I had to pick one track to explain who Dave Matthews Band is to someone, this might be the one I would choose. It’s a great love song on its own, but when you add in the live jam band aspect, it takes it to a whole different level. Finally, I closed my compilation with #41, a song so sweet that it doesn’t even require a proper name. 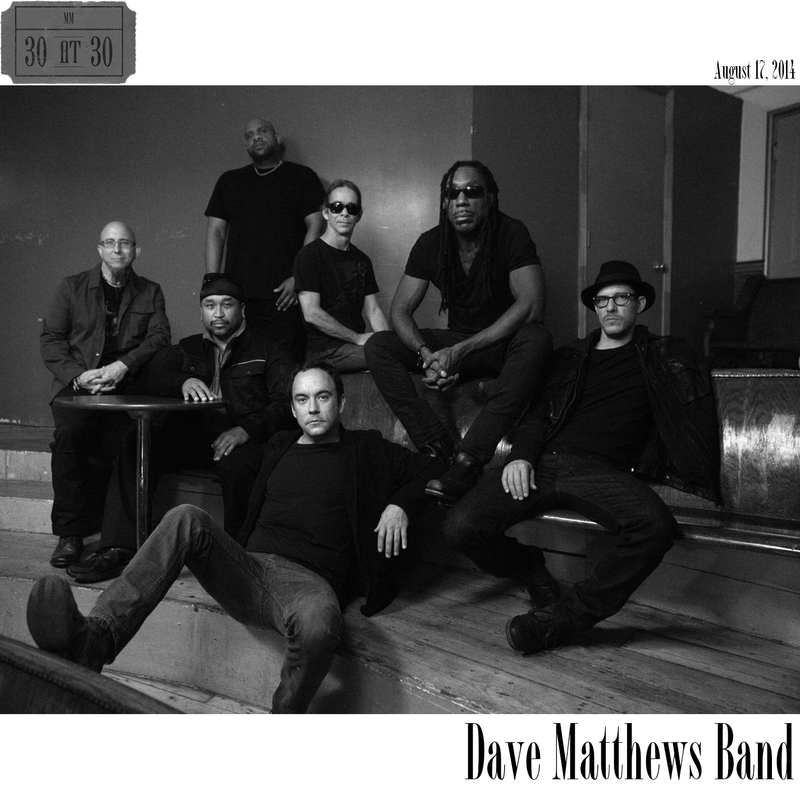 I was fortunate enough to hear it live the last time I saw DMB live back on May 31, 2008. Unfortunately, they played an acoustic version that did not feature LeRoi Moore’s saxophone, which is critical to the studio track. A month later Moore was injured in an ATV accident. Tragically, he passed away on August 19, 2008. His memory lives on through so many classic recordings with #41 being arguably at the top of the list.